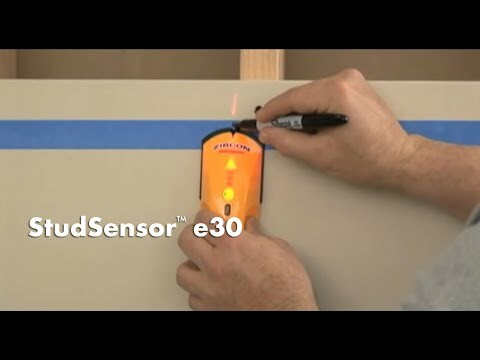 The StudSensor™ e30 stud finder locates the edges of wood and metal studs behind walls. User-friendly interface and patented SpotLite® Pointer clearly identify the target while WireWarning® detection indicates the presence of live AC voltage. Patented pivot pinch grip and contoured shape provide an easy, secure hold in either hand, at any angle.